Hope you like this material. It´s about countries. It has 2 short descriptions where ss have to guess who is talking and what country this person is describing. The first part is a TRUE AND FALSE ACTIVITY. The last activity will be for ss to write something about their countries. Thanks a lot and a big hug goe everybody. 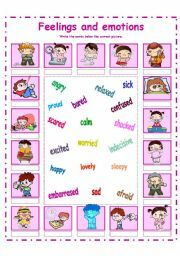 DEMONSTRATIVE PRONOUNS! 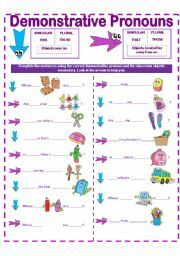 THIS-THAT/THESE-THOSE AND CLASSROOM OBJECTS! Hello again! This is the 1st part of a set of places. You can cut them, then laminate the cards. Give one to each student and have him/her ask "Is there a restaurant in your city? It can work as a recycling activity. I have 2 sets of cards and finally an activity with a city map giving directions using the same pictures. Hope you like them. 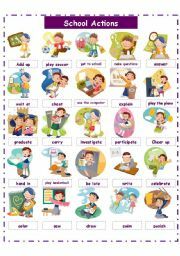 BEDROOM VOCABULARY- MATCHING- THERE IS/ARE-ISN´T/AREN´T-PREPOSITIONS-SPEAKING ACTIVITY-WRITING ACTIVITY- answer key provided. This is the second set. Hope you find it useful. and any question or comment will be appreciated. The third part is also coming soon. tHANKS TO ALL OF YOU FOR BEING MY INSPIRATION. FOOD AND DRINKS PRESENTATION! 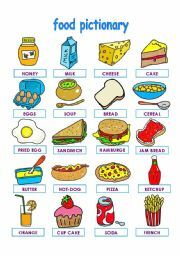 20 FOOD ITEMS! SCHOOL OBJECTS PRESENTATION 24 ITEMS! This is a jobs presentation. Hope you find it useful and any mistake please let me know. Probably the preview looks a little bad but when you download it is fine. A second part is coming. Your friend Zoila, la luna.